ECPP is a London based international HIV/AIDS and Hepatitis C patient organisation working in Europe and Malawi, promoting patient involvement in the development of public policy, delivery and monitoring of services. Workshop for Tipewe and Chambe committee members. Group work at the workshop. MALAWI - Colin Webb oversaw the stocktake of all the centre and warehouse equipment. MALAWI - Colin Webb supervised maintenance of all the vehicles. MALAWI - Joan D'Souza ran a student workshop. 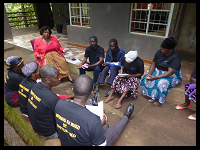 MALAWI - Mpala formed a committee which will oversee the running of the centre. MALAWI - The Malawi audit is in progress. LONDON - The UK audit has been completed. LONDON - The UK audit is in progress. MALAWI - Colin Webb oversaw rennovation works and re-installation of electrical cables in the computer room in Mpala. 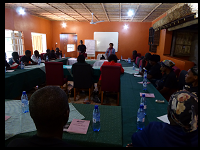 MALAWI - Joan D'Souza ran a workshop for Tipewe and Chambe committee members. MALAWI - Three welding students from Mpala were accepted at Comboni Technical College. MALAWI - One student has registered for ACCA. 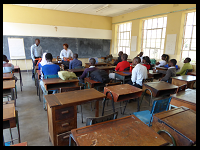 MALAWI - One student has started a motor mechanics placement at PVHO in Mulanje. BASLE - Colin Webb and Joan D'Souza attended the Roche employees' children's walk.